Peacocks are magnificent birds. Regal and graceful. 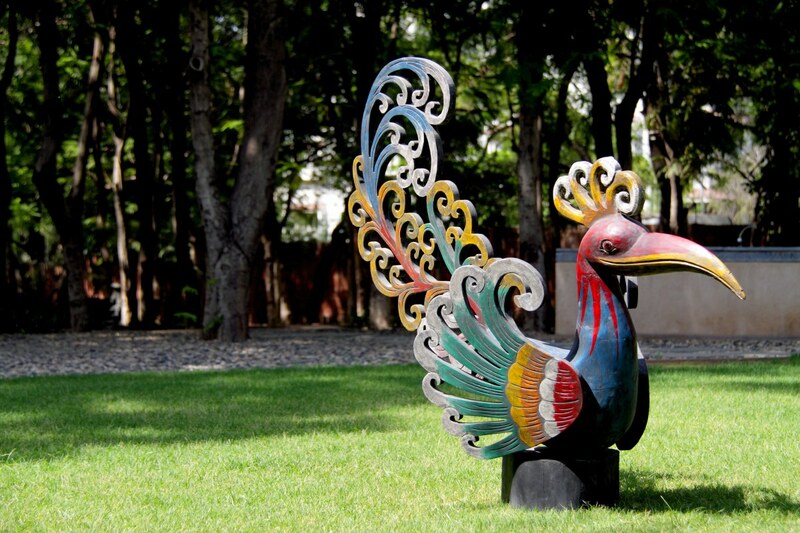 These elements have been captured beautifully in this wooden statue by the most skilled Balinese craftsmen. The arrogant beak, the delicate neck and the elaborate feathers truly represent the artisan’s fascination with this bird. If his love for the bird resonates with yours, it’s a rather grand structure to highlight an open space.